Quito (Agenzia Fides) - The funeral of Fr. Arturo Rene Pozo Sampaz, presided over by the Archbishop of Quito, Mgr. Fausto Travez Travez, was celebrated yesterday, 11 October, in the Basilica of the Vote Nacional in Quito. 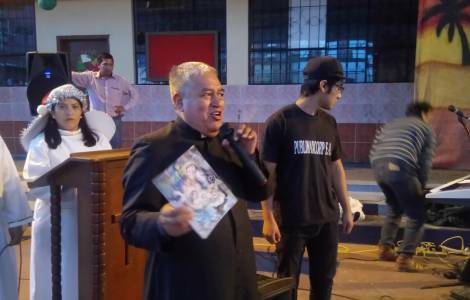 The priest, 62, was a parish priest of San Juan Parish, in the north of Quito, and his lifeless body was found on the morning of October 9, next to his bed, with his hands and feet tied, but without any signs of violence. For some months Fr. Arturo had been living in his sister's house. The police have ruled out that robbery was not the motive in the killing of the priest because all the valuables were found and the door was not forced.